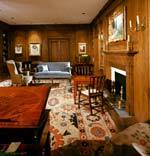 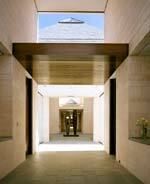 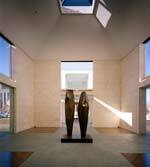 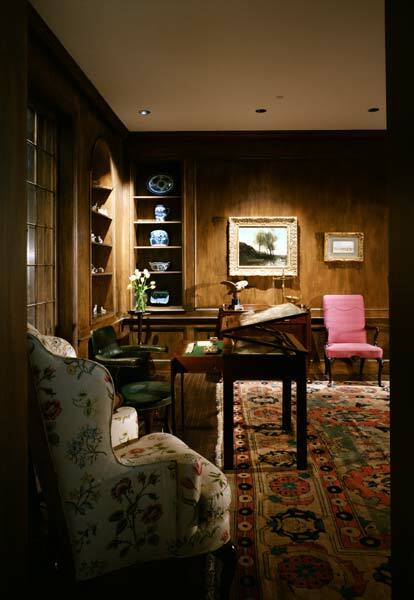 Norman, OK: A residential scale and crisp refinement form the perfect backdrop for a stellar art collection. 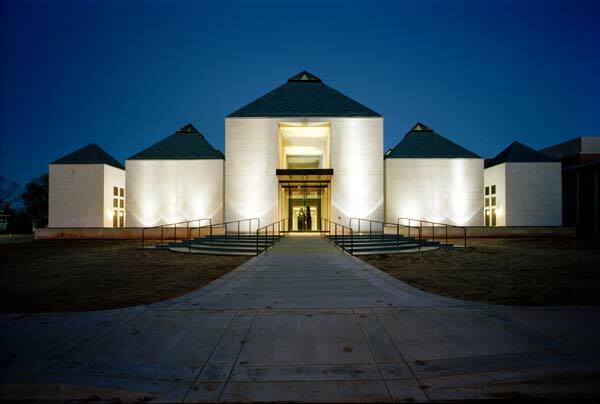 The University of Oklahoma in Norman, OK, has an impressive art collection, much of it acquired between 1996 and 2004, that ranges from French Impressionist masters, Asian art, and Persian miniatures, to a significant – and growing collection of contemporary art. 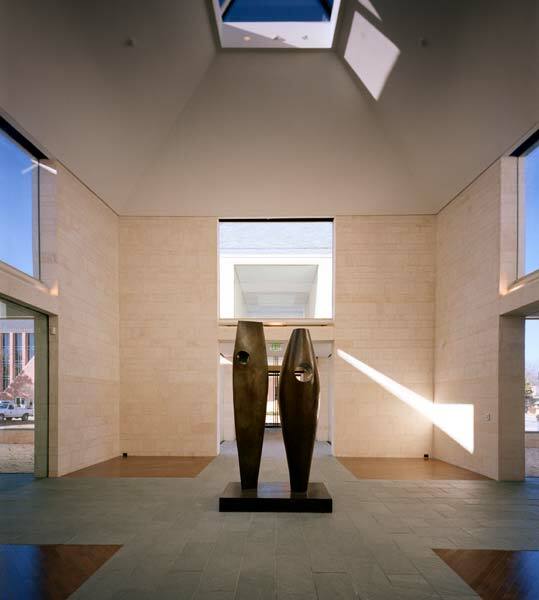 On Friday, January 21, the collection will debut in its impressively renovated and expanded home: the Fred Jones Jr. Museum of Art, designed by Hugh Newell Jacobsen, FAIA. The $14 million project includes the new, 34,000-square-foot Mary and Howard Lester Wing, and a 28,500-square-foot renovation/expansion of the museum’s existing East Building, including 16,500 square feet of gallery space. 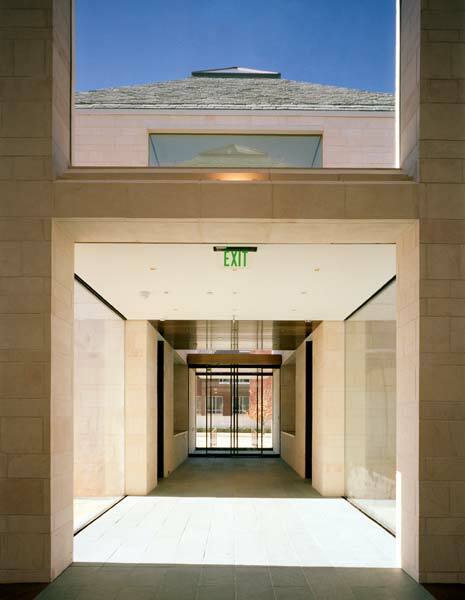 The new Mary and Howard Lester Wing is actually a suite of nine identically-sized, neatly-ordered pavilions, organized in a square and linked to one another by corridors of limestone and unframed glass. 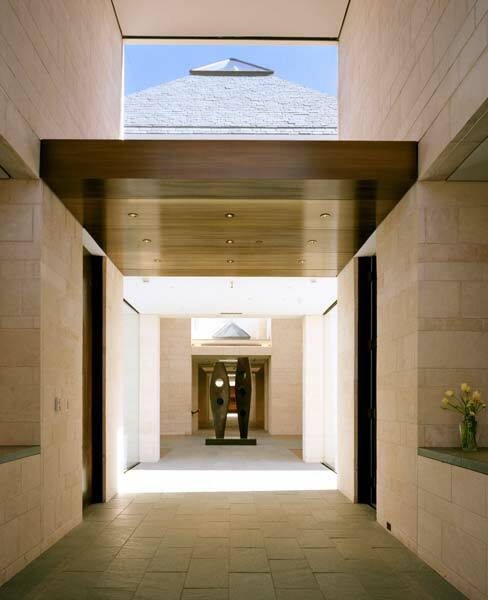 The pavilions provide residential-scale galleries for the artworks (many of which were meant to be seen in private homes) while establishing a continual visual interplay between interior and exterior spaces. 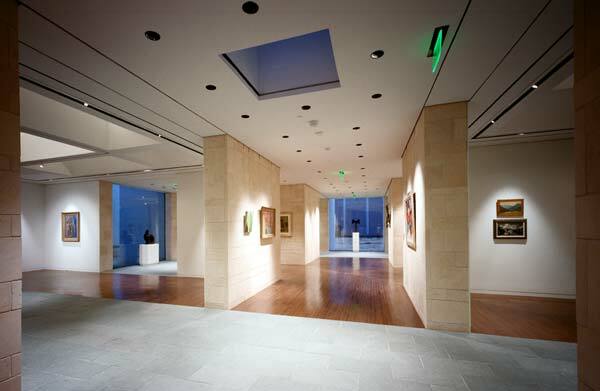 A tenth pavilion, located at the far west end of the structure, serves as the new main entrance to the Fred Jones Jr. Museum of Art. Visitors enter through this pavilion into a light-filled, 38-foot-high atrium – with a view 80 feet straight ahead through the new wing into the existing East Building. 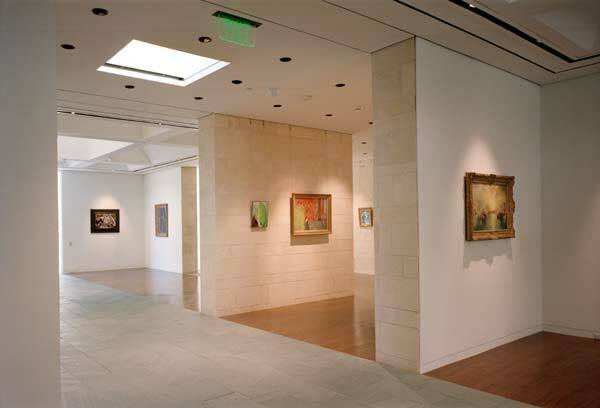 The ground floor of the new wing features galleries dedicated to the Weitzenhoffer Collection (the single most important collection of French Impressionism ever given to an American public university), American art, Asian art, and a select number of works of African sculpture. 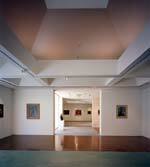 Also on the ground floor are an orientation room and the museum store. 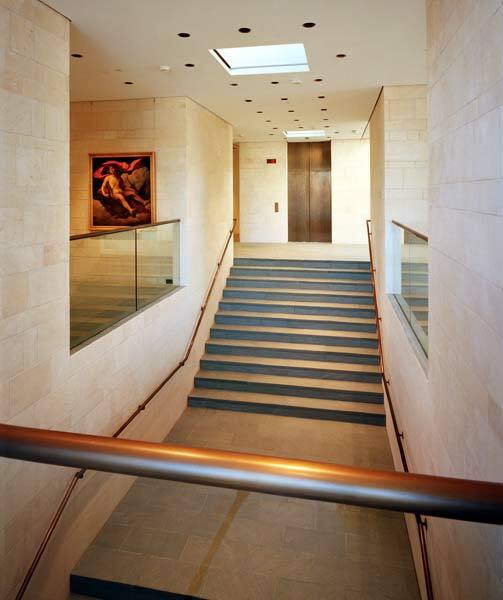 A 10-foot-wide monumental staircase leads to the lower level that houses an open, loft-like gallery (especially suitable for larger-scale contemporary art), an auditorium, classrooms, and back-of-house facilities. 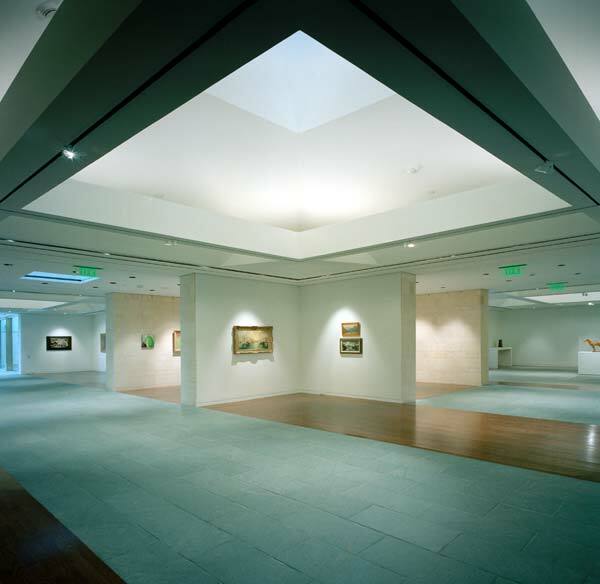 Natural light fills the new building – coming into the ground floor through the skylights in the pavilions’ pyramidal roofs, and reaching the lower level through skylights built at grade into the museum’s formally landscaped setting. 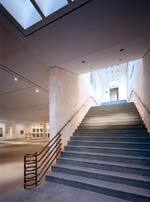 Should the museum choose to expand, it can floor over the ground-floor galleries in the pavilions and create second floors under the same roof. 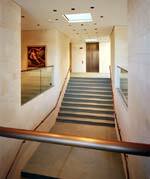 Ductwork, lighting, and provision for egress are already in place. 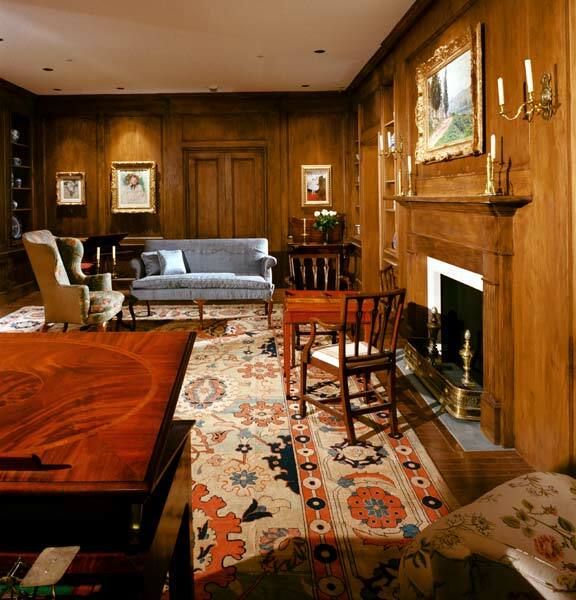 Acoustical & A/V: Miller, Beam, and Paganelli, Inc. 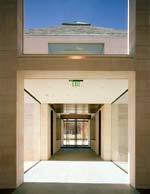 Since establishing his practice in Washington, DC, in 1958, Hugh Newell Jacobsen, FAIA, has received more than 120 awards in architecture and interior design, including American Institute of Architects National Honor Awards for his work at the Smithsonian Institution’s Renwick Gallery and its Arts and Industries Museum.